The Department of Orthopedics and Traumatology of B & C Teaching Hospital has been providing its services since 2015. Since then this Department is providing services in the Eastern Part of Nepal. Out Patient Services (OPD) is available 7 days a week. Saturdays, the OPD remain open from 9 AM till 1 PM. On other weekdays, it remains open from 8 AM till 5 PM. In everyday OPD, there are Highly Specialized Orthopedic Surgeons who give quality care to the patients. There is a separate procedure room in OPD Block where Miner Procedures like Cast Application, Cast Removal, Suturing, Minor Debridement, Pin Removal etc. are performed. This Department’s Operation Theatre is equipped with highly Sophisticated C-ARM and Carl, Zeiss Pantero Operating Microscope. Operating Theatre is also equipped with all kind of Instruments required for any kind of Orthopedic as well as Trauma Surgery. Other Minor Procedures like Cast Application. 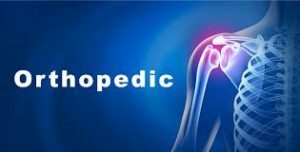 Orthopedic Department provides 24 Hours Emergency Services for the Patient. An Orthopedic Surgeon is always available for 24 Hours Emergency Services every day. As our Hospital is 400 Bedded Hospital, 52 General Beds are allocating for Orthopedic Department. There are two types of General Ward, Air Conditioned and Non Air Conditioned. Almost both wards are occupied round the year. There are Semi Private Rooms, Private Rooms and Deluxe Rooms as well in the Department.